"Best damn thing we ever did! " Boomtown for us is the hub of our entire company. The ease of use and the incredible training allows us to bring on new people and have them up and running in a matter of hours. The entire Boomtown team is always there to help and make sure we have what we need to succeed. The innovations and integrations have pushed us to new levels just because it's so easy to use. There isn't much to dislike... I would say that the mobile app is hard to load sometimes but the agents really do like the texting feature. WE built a company around boomtown from the ground up. We decided to make Boomtown our hub over 7 years ago and run with it... telling our self we had to cut costs everywhere but boomtown had to stay... So glad we trusted them to provide us with the best service and tools. This system helps me keep on top of my clients. I don't have to worry about if I've talked to them or not because my auto drip plans are set up for me to be able to concentrate on new clients coming in. Our team pays for BT to scrub our leads for us. This has been amazing and really allowed us to focus on new clients even more. I would love to have a notification to my phone when it is time for me to call someone instead of having to check. Boomtown is an amazing service. I went from using a different CRM to this one and was amazed at how much easier it was on this system to keep track of everything. It is nice to have a phone number that I don't have to give out to clients right away in case I don't think they are being serious. I also like that I can go back and see previous conversations if it was a transferred lead. We also recently started allowing BT to scrub the leads. That has been amazing! It takes a lot of extra work off of my plate. It also allows us to have something to come talk to people about. Client touch, contact, keeping track of interactions. "Boomtown is my one thing that makes everything else easier or unnecessary"
I love that BT shows us what we need to do every day so that no lead gets left behind. I love the website. I keep getting compliments from clients who pick our website over the competitors b/c it's so user friendly. I like the ability to see leads who are active on the site and the ability to sort that data by most recent visit. This helps us go through Archive leads & identify potential. I wish we could mass text or have text campaigns. Our market is text heavy & we believe we would be able to reach more people using a campaign versus having to individually message each lead. mass text ability. use of AI or text campaign options. Before BT, we had multiple lead sources - login's/passwords, etc and it was manic. BT imports all lead sources into one platform and streamlines the entire lead base. "Great CRM platform to be in front of your clients always." CRM, because you can keep in front of your clients by setting up emails, alerts to you and reminders. Also you can have teammates to help reduce the cost. They provide a website platform but I'm looking into to make it better to have more information and being able to customize it. They just added were they are asking questions when a lead signs up, if they need to sell and how soon they are looking to buy. The startup cost is high, and also continued cost. I wish they will also teach how we can do better in our seo on our own as well. The alerts to you for reminders on when to call someone gets only sent to you via an email in the daily insights which is at the very bottom of the email. I never remember to look at them and they get buried quick. I wish they had only one email set up to show you these are your daily task that need to be done. Shop around first, depending on were you are at with you business you might be able to use a similar product out there that is less expensive. Generating leads other then using Zillow. You can add your own leads from other sources and keep them in the CRM and you can export them as well. Being able to set up e-alerts which makes it easier to be in constant communication with them hands off if needed. "The best, most effective CRM my team and I have used"
Boomtown makes it easy to integrate our leads from various sources and manage them on a daily basis. I love how easy it is to manage leads using the mobile app. I believe the agent reporting and accountability could be improved to make it easier to review performance and manage agents who are not performing database management and lead follow up the way they should be to convert more leads. I would like to see a mobile broker dashboard with some automated functionality to be able to manage leads that are not being connected with or followed up with on a regular basis. If you are considering Boomtown, make sure that you import old leads from another system in small batches so they are able to be managed in the new system properly. There is a huge benefit of having all of our data in one place. All calls logged, all emails and texts. It makes it so much easier to know what has been done with each lead and client and makes it easy to take over someone's lead if necessary or for ISA follow up. "Good, but beware the Launch Version"
The dashboard makes it easy to monitor and track activities and also the accountability features. E alert has a nice and readable face to it. The "Launch" version, which is designed for 1-3 agents lacks many features and disallows customization of some of the drip mails. Also, you cannot use integrations with other products until you purchase the next version up. I did not realize how many features would be missing in the product I purchased and feel it is very expensive, considering. Also, this version is not a usable CRM, as it is fully specific to buyer leads--no calendar, no solution for SOI or sellers, etc. Contactually and Top Producer are much better for the full solution. Bottom line--I need to use two platforms--Boomtown for PPC ads and buyer leads and my Contactually for managing my full database. If you are considering the "Launch" version, be aware that it is bare bones and may not fit your needs after awhile. Of course, you can pay more and get the next version up. One place for all new buyer leads and a good means to track their progress. "Boomtown has formed the foundation of our pay per click marketing strategy and pipeline management"
First and foremost I like the culture and attitude of the company. It is inclusive, open, and honest. I believe that Boomtown is in business to make money by truly helping my business. There is very little I dislike. I am totally satisfied and believe that the service delivered equals and exceeds the price we pay. Boomtown has competitors but it does not have peers inside its space. The only thing to be careful of is that Boomtown as a CRM is a pipeline management tool. It is not a full function CRM in terms of robustness or reporting. But in terms of advertising and marketing and pipeline management they are unequaled. Organization and accountability are the two foundational solutions that Boomtown paves the way for. "User friendly and ever evolving "
I love the ease of use with this CRM. It is well organized and always keeps the hottest opportunities at your fingertips! I train a virtual sales department and all of my employees rave at how quick they can learn the ins and outs! There are a few features that Boomtown hasn’t implemented yet that would take our experience over the top. The one feature I wish we had was the ability to share tags with agents who are not set up for Broker Access! Our agents do not get broker access, so this would make hosting call nights simple. BoomTown is user friendly. Their training program is exceptional. They share successful practices between all users so that you can implement successful steps into your daily routine. BoomTown sometimes has slow communication between the CRM and smartphone app. It will occasionally not sync data in real time. Creating ways to build strong client relationships that turn into sales. Utilizing email campaigns that other agents have implemented with success over the years. "Boomtown is the Pro's Choice for Real Estate CRM"
The opportunity wall gives you instant feedback on those clients that are more motivated. For instance it might note that a client "viewed the same house from 3 different devices". This is a great way to instantly find a list of who to call first. Also love that I can text or email directly from Boomtown. Can't easily export emails from TO-DO list. Thus, it is trickier for an admin to help agents on the team with their tasks. 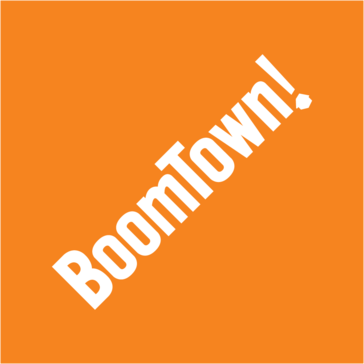 If you have a team or multiple real estate teams, you will want to consider BoomTown. Data on agent activity and source of leads is fantastic. We can now easily see how much each lead costs and how much we can make from each lead. "BoomTown is focused mainly on Buyer Lead Generation"
BoomTown has a lot of great features such as integrating leads from other sources. Lets you know which leads are actively looking, renewed interest and have updated important information on account. Have the ability to do lead nurturing emails and sequences, automate tasks and other tools great for sales. Great for building email sequences. Great for tracking tasks and to-do's. Ability to tag and filter leads as needed. Can be used with other lead generation tools. Track all lead activity such as emails opened, searches and more. All new email e-alerts are automatically set to daily. This may be a feature that brokers/team leaders have the option to change, but individual agents/users do not. When automatically assigning leads to agents, there is no lead scoring tool used before assigning leads. This is an important feature that should be sought after especially for large teams. All emails sent from BoomTown are not logged with leads. Only individually sent or blasts are logged. Any emails from sequences or alerts are not noted, which should be. Tool used for knowing if an email has been opened or read is not the most accurate. Some leads don't have the ability to know, which probably has something to do with the leads email provider. Noticed that this is mostly from Microsoft email accounts. No way to CC alerts to other accounts or non-users, at least not on a user level. No way to control emails sent from application going into lead's Spam. Not sure if this has something to do with BoomTown itself or email providers. When leads are transferred from an old/deleted user, their label is automatically set to New, but registered date stays the same. It can be hard to know if a new lead has been transferred because they don't always show on the first page in lead central if set view isn't manipulated correctly. Lead generation is mainly focused on Buyers, and is hard to identify and generate Seller leads unless certain campaigns or tools used for this specific reason. As an ISA, I was suppose to be apart of a beta testing for a Seller Lead Generation Tool they were incorporating, but it never happened and was about 2 years ago when I was first asked about participating. BoomTown is mainly for those looking to generate Buyer leads, but it can be integrated with many other lead generation tools. Does not have an in-app dialer, but does have the ability to be integrated with Mojo Dialer. BoomTown is used to generate new leads and then convert them into real estate sales. Leads are not always the best quality (not exactly BoomTown's fault), and can be "unfair" when on a large team that leads are "round-robin-ed" to. Some great benefits are all leads and information is in one spot. The ability to automatically send emails and home e-alerts is great for lead nurturing and contacting. "Love it but I wish it was more user friendly for my rental clients. " I love how user friendly it is, especially in keeping track of what my clients are looking at on my website. It keeps me up to date on my clients and also it is a great tool for keeping in touch with them. I have been able to keep lots of previous client's this way and it has saved me a lot of time. The only thing I dislike is that it isn't as user friendly for my renters. I wish they had better ways for them to search and also a way for me to label them as renters. I would definitely give it a try! It hasn't hurt my business yet! I don't really have any problems that I am trying to resolve at the moment. But as far as benefits they have been great. I have received many great leads off of this program. This is the easiest CRM to use and is great for Data keeping as well. We use this system through our entire company and we have no complaints. There are sometimes when the system will go down in the middle of the work day and causes inconveniences in work flow. Best CRM on the market. Support is amazing and it is really easy to use. No need to look anywhere else. We have used other CRMs in the past and this one is top notch. We are able to generate quality leads for less over all than the competitors and keeping track of performance is easy as a few clicks of the mouse..
We really like how easy it is to keep up with our leads! A few items that we think could be improved would be ability to mass text and auto texting. This is a great program to monitor leads, follow up with the hot leads, it really saves A LOT of time! It is also great to keep up with what your team members are doing. The website allows your clients to search and you can see what they are looking at! Keeping up with all of the leads and providing them with a great website to search homes on! "Fantastic -- great way to manage my clients and statuses"
You can add some many notes & follow ups as you want and its a great way to track all your customer clients. I am able to see when I last emailed, called or texted my client and if I spoke with them and what about. it is also great being able to send emails and homes for sale as well. Using the categories to keep you clients in line is great as well. Most clients take 5-6 months before they are ready to buy or sell so being able to track that is a great way to do so in Boomtown and it will send you reminders of to-do's so you don't mis a task and can always stay in touch with your clients. Sometimes has issue with some features but they are usually quick to fix. Sometimes I wish you could filter your leads by last call, ext stuff like that. It would be nice it they would update the look of the system. its not bad but looks a little dated. But overall great product. Well worth the money, but you need to make sure you set it up 100% to work the absolute best. If you set it up and use it to the full capacity if will do great things for you. Great way to keep in touch with all my clients and stay on top of when and what they are looking for. "I use Boomtown every day as my real estate CRM"
I love the front end user interface and search setting up capability. I like the user interface and the all of the features for auto follow up, like drips, e-alerts, follow up plans. I love the to-dos. I love how easy it is to use in general. I love the texting. I dislike not being able to search an address to find a customer. I dislike that action plans do not begin immediately when you initiate them. I don't like how poorly the website loads and does not respond to commands most of the time. Slow loading and non-responsiveness is a daily problem. I'm using a macbook air and am running safari, but when I switched to Chrome it had similar issues and would refresh the page multiple times without my command. Boomtown is an amazing product. I love the front end user interface and search setting up capability. I like the user interface and the all of the features for auto follow up, like drips, e-alerts, follow up plans. I love the to-dos. I love how easy it is to use in general. I love the texting. It does have some glitchiness in every day use and slow loading speeds. Sometimes requiring multiple refreshes to get the pages to respond to input. I'm able to keep up with potential clients at a high level. I'm able to let the CRM do the heavy lifting of follow up and notification. "Great, easy to use program"
"Helps me stay organized and connected with my database"
I like how much customization and integration BoomTown offers. As my business and marketing needs change, boomtown can stay the same and just adapt with me. I love that I can use it for both my mets and my unmets and not have my marketing get muddled in between. I would like more options on the lender side to better assist with communications between us. Highly recommend BoomTown to any agent or team. Has upped my productivity quite a bit! It allows us to automate lots of our client interactions and not feel like a robot. "One of the best but you pay for it!" This is one of the most expensive CRMs in real estate. The best CRM I have used since being in the business. With that being said, it is definitely top tier for price. Nice to be able to push listings to clients, see what they are viewing on a map, and overall user friendly. If you have the money and/or a team this is the best you can get. Great way to stay in front of your clients. I like the way it lines up all of my to do’s for each day, and that it works on my laptop as well as the app on my phone. I am able to get done everything I need to get done with an a day with the todos. "Without them, i'd be a bag boy! " It works consistently for years and is consistently updated. I wish I was the only user in my market. BY IT! You won't be disappointed. When the recession was in full swing BT kept us in plenty of buyers. While everyone else was waiting tables my Team and I crushed it. In the seller's market, it means a little less to our bottom line but the buyer's market is always coming again. "One of the best platforms to run a real estate business"
The consumer experience on the front end and the pipeline management on the back end for the agents. This is the way real estate was supposed to be done. Updates to platform could be quicker in my opinion. I do believe they are working hard to fix this. Lead management, pipeline management, lead conversion and building a powerful database. There are many things which I like about BoomTown especially a fluid and a simple user experience. Their reminder service is really commendable. It helps keeping a track of all tasks in hand and also a track of all the follow up we had with our clients on emails or calls.Boom Town easily manages our contacts for us as well. BoomTown does not have many things to be disliked except the occasional page crashes which is very very irritating for a user and the page load times are too long at times, makes you feel you live in the '90s. This needs to be taken care of and improved. Over all a good product with some glitches, nothing that can't be improved. We use boomTown for lead management by tracking the potential leads for us and also as an appointment reminder. I like the integrated functionality the best. Previously, we had looked at deploying multiple platforms to have CRM, drip campaign and lead capture tools available for our agents. BoomTown has bundled all of these into a single application that saves my agents time, energy and increases the leads they see daily. Their reporting functionality needs improvement, but I'm told those upgrades are coming in the next month or so. With such a large number of agents, it was difficult to deliver leads to them in a consistent manner - BoomTown alleviates this stress. It also allows us to track agent accountability, have follow up details readily available and showcase BoomTown as part of our strategy when meeting with potential sellers. Boomtown is awesome. It is such a great lead management platform but it goes beyond that. The creators at Boomtown are constantly improving by taking customer suggestions and doing their best to implement the ones that make sense. It's truly awesome! I honestly can't think of anything I dislike. Boomtown is always changing to make the users happier. Definitely sign up! Boomtown is the best - period. The lead management and email templates are great. Plus you can do pay per click ads on your own or pay Boomtown to do it for you if you don't know how. You also get a very nice and clean website that is very modern. Well worth the money. You can also have a lender pay for part of the cost and Boomtown has separate support for lenders. They take care of the customers and it shows in how many people are satisfied. Lead management is so much better for our team now than it has ever been! We respond to leads immediately and I can see if a person actually responded. The accountability is huge. "May not be worth the money"
Pretty good database management software. Your able to put clients on a lot of automated stuff such as email campaigns while making it look like someone actually sent the email instead of a robot. The leads that come from this program are not very good. You will get A LOT of garbage "leads" mainly because it makes the client sign up to look at all the pictures of whatever home they were looking at. See if anyone else in your office uses it and see if they actually get actionable leads from it before you shell out the money. I loved seeing the NOW! clients - the hottest leads get organized by who was looking at homes on your website most recently. So you can not only reach out to your hottest leads first, you also know exactly what houses they were interested in, so you're the most knowledgable agent for their needs. "Great CRM system for your team!" I am not a fan of not being able to change the source. Sometimes the sources are put in wrong and i am needing to change it, but i can not. We are solving our lead generation and expanding our existing side of the business. We have realized that we are needing more leads to help our agents progress to the next level. "First GOOD CRM that i've used in real estate. " Being able to keep track of contacts and know who to call in what priority. The integration with dialers is still basic. I don't use mojo dialer and this is the only system that they work with. Get training with it, there are a lot of features that I didn't understand how to use at first. Knowing how to prioritize who to call and when to call them. Also, being able to set appointments to call people back 6 months from now and not forget. We like the intuitiveness, we love that everything is in one place and at a glance you can look at your entire pipeline. The price, but you pay for what you get! It's the best out there. If you are growing your team, want accountability and the top of the features, Boomtown is where you need to be. Team accountability. We're putting processes and systems into place to fix this with one on one meetings, accountability sessions, team coaching. Etc. If you're thinking about joining a team and they have Boomtown I would highly recommend you consider it. I am a buyer's agent on a team that provides Boomtown to their agents. "Great for real estate team functioning"
It’s great for prospecting and follow ups. It keeps everyone on our team on the same page. It would be nice to search our database by email address. It would also be beneficial to assign more than one listing/buyer agent to a lead. Have your import excel sheet extremely updated. We are solving our communication within the team issue. It is beneficial to our clients for everyone to put in notes and have all of the notes at our fingertips. Easily manages contacts that register on your website. Has a fantastic "follow-up" calendar to remind you to keep in contact with those clients. I dislike that you can't merge multiple profiles. When people register two or three times, you have to manage all of their profiles or try to transfer the information to one. Highly recommend. They have a few quirks that need to be worked out/improved upon, but overall it is very easy to use and very helpful with organization and follow up. Staying in contact with clients and not letting any one be forgotten about. We have had successful transactions with the people who have registered on our site that otherwise we wouldn't have had contact with. "BoomTown has helped me get Real Estate leads"
Most of the leads that come through are solid leads. There is nothing that I dislike about BoomTown. It has been very helpful. I would recommend Boomtown because it is a good lead source if you are struggling to find buyers/sellers. Generating more leads. The benefits I’ve realized while using boomtown is that most of the leads that come through are good. "Great Lead Gen and CRM"
Still one of the most user friendly systems out there. I have yet to find one that is as easy to use for both the client and the agent. Love the lead flow and quality of the platform. We close a ton of transactions off our system. Never been excited about the additional platforms constantly being added to our area. This is the main reason we no longer participate in regional Boomtown discussions or events. Figure out your systems. Anyone can provide leads. You need the right team to convert them. No problems. Only additional revenue. We have built a system that works...after a lot of trial and error. "Best Real Estate CRM, hands down." The CRM is real estate driven and built for this business. I can't say the same about other CRMs I have used over 10 years of Real Estate. Boomtown actually cares about their clients! The Boomtown community is an awesome one to belong too. The direction sometimes is a little muddled. Seems like they might bite off a little more than they can chew but most products are awesome. CRM, IDX website, accountability, lead gen.... It goes on and on. I like the user friendly ease of the whole system. I work on a team of multiple agents, and the ability for all of us to be able to be under broker status and help each other gain control of leads has been great. For the most part I do love this system. The only issue I've run into is having an agent leave our team. We had to transfer all of his leads to my profile. Because he was so behind, it looked like I was the one extremely behind when I went in for a meeting with my boss. Not a huge deal once explained, but I wish there was a way to counteract that. We are picking up business using Boomtown at an alarming rate. I recently transitioned from administrative to an inside sales agent, and Boomtown has become the backbone of what I do everyday. I'm very happy to have found them! "Great CRM For Real Estate"
"Best CRM in industry "
I wish I could change lead source and delete. The ease of locating my leads and all of their related data, and the capacity to email, text, and log call made. Also my lenders and partners can also jump on and see all of the activity. Not great for the afterlife of the lead, post closing. I use a different CRM for this purpose. Ease of use, support is great and always helpful, lots of training tools, many actions and lists to create. Our agents love the fact that they can see everything in one spot and easily sort their leads/clients. the updates are slow. No mobile app yet. Some functions need more work, like the ability to select more than one lead to change a category. Bulk importing could use an upgrade. "A Bazooka in a Water Gun Fight"
I have seen every system out there and without question BoomTown is the #1 source for home sellers, buyers and their agents on planet Earth. I'd like implementation of new features don't quicker but I understand why they don't do this. They want things to work when they release them. Leads, leads and more leads. The CRM is awesome as well. "Excellent Product However it requires you to do your part"
I like the way it makes you organize your follow up of people who are interested in buying or selling. Manu online prospects are a year or more away from getting a place and this system helps you stay in touch and also lets you observe there activty. Awesome tracking of contacts and task lists. Keeping our SOI cared for. The lead flow to our team is easily managed and we can see who is calling and who isn't. "Great CRM and Lead System"
System has a beautiful interface for the client and very easy for clients to search properties. Backend system does a great job organizing, but lacks a lot of custom features and custom tags that would make it all that much better. We are learning more how to advertise to the new buyers and sellers of this generation. We are able to connect with facebook and instagram users very well with this system. No dislikes as of now. I really enjoy that it works for the customer, but also works for me. Like I said, it does the work for you. If someone visits your site, you know about it immediately. Sometimes sends you rental or timeshare leads even you set it up not to get this type of leads. Being available for customers and new leads fast. Answer questions and helping clients, also, how easy is to organize and contact clients in one simple software. "Boomtown is the best real estate CRM period"
Boomtown solves multiple problems. Website, CRM, Marketing, Lead Management. It's the all in one solution. * We monitor all BoomTown reviews to prevent fraudulent reviews and keep review quality high. We do not post reviews by company employees or direct competitors. Validated reviews require the user to submit a screenshot of the product containing their user ID, in order to verify a user is an actual user of the product. Hi there! Are you looking to implement a solution like BoomTown?